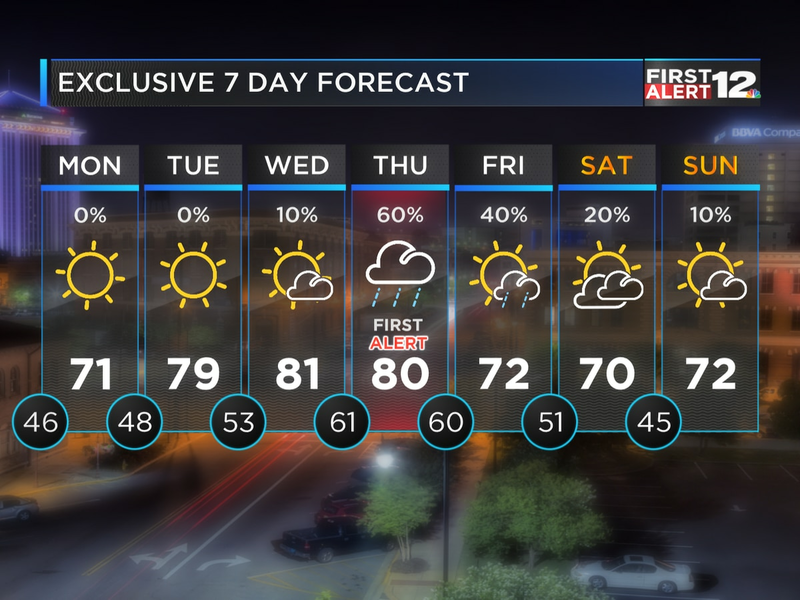 MONTGOMERY, AL (WSFA) - Enjoy the beautiful weather this weekend; storms return Monday. After a chilly start to the day in the 40s Friday, we’ll warm nicely to highs near 70° under sunny skies. Mostly sunny skies will hang around for the weekend with high temperatures in the low to mid 70s. Get outside and enjoy it if you can! 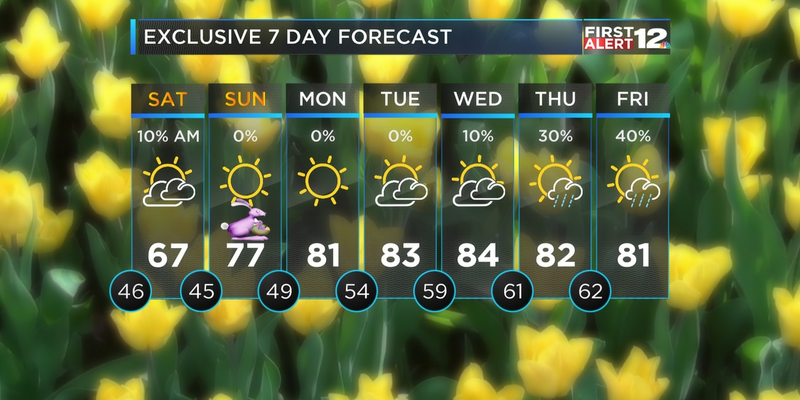 A cold front brings showers and storms back to the forecast Monday. 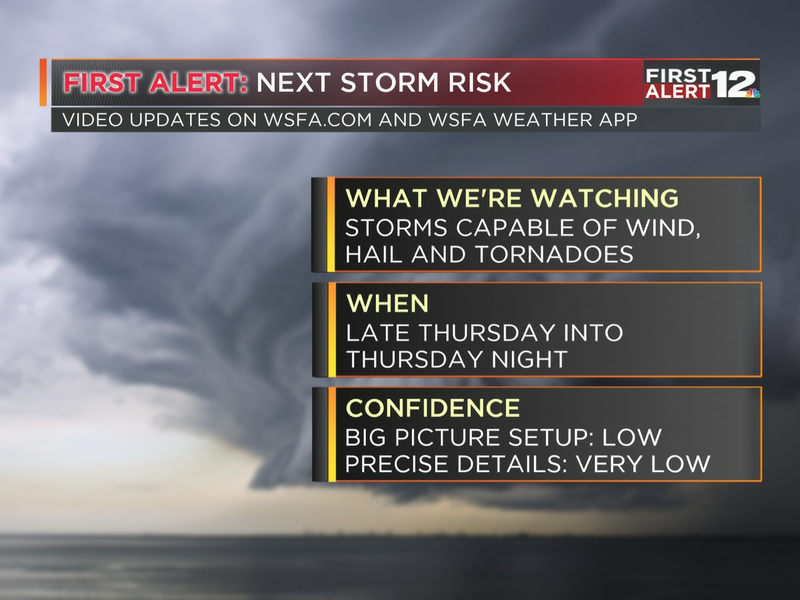 Right now it doesn’t look to have the potential to become a severe weather set-up, but we’ll keep a close eye on it. Behind the cold front, skies will dry and temperatures will cool mid-week!